afrol News - "Kenya, Niger, Mali troops support Ghaddafi"
"Kenya, Niger, Mali troops support Ghaddafi"
afrol News, 2 March - The National Libyan Council, the interim government in "liberated Libya", is claiming that Kenya, Niger, Mali have sent regular troops to assist the Ghaddafi regime. Council spokesman Hafiz Ghoga at a press conference in Benghazi, the main city in "liberated Libya", made tough accusations against several African states and urged the UN to bomb the "African mercenaries of Ghaddafi." According to Mr Ghoga, the governments of Kenya, Niger, Mali were supporting the Ghaddafi regime with regular troops. 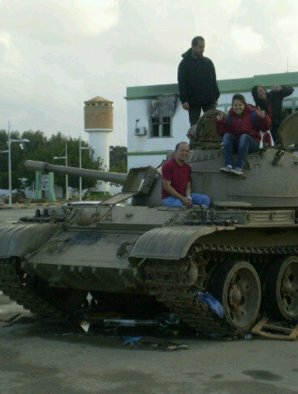 These troops were among the "African mercenaries" killing civilian Libyans protesting against the regime. The National Libyan Council spokesman further claimed that there was strong evidence that "the government of Algeria" was supporting this alleged African offensive against the people of Libya. There had earlier been rumours of "mercenaries" being brought into Libya over the Algerian border in the south-west. The statement by the National Libyan Council, urging for the killing of "African mercenaries" and claiming African governments' involvement are the most extreme anti-African statements made so far in the "liberated" areas of the country. Earlier, afrol News has documented how a wave of racism throughout "liberated Libya" has caused a witch-hunt of sub-Saharan Africans, with arbitrary arrests of African-looking persons and occasional lynch mobs killing Africans. Read more about how sub-Saharan Africans are systematically hunt down in "liberated Libya" here. So far, Libyan revolutionary sources mostly have blamed Chadians and the government of Chad for the alleged existence of "African mercenaries" in the country. 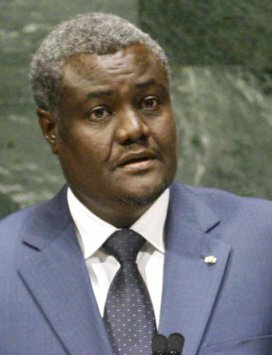 Chadian Foreign Affairs Minister Moussa Faki Mahamat today issued a strong statement against these claims. testing against these serious charges, whose consequences could be dire for thousands of Chadians living in the territory of Libya," Foreign Minister Mahamat said. Most other African governments so far have not reacted to the sharpening rhetoric of Libyan revolutionaries. Especially the African Union (AU) has been noted for its silence on the "African mercenary" issue - a silence that has been called "scandalous" by several sources, both those claiming there are African mercenaries in Libya and those denying it. In Kenya, officials yesterday told the independent 'Daily Nation' there were no proof of Kenyan mercenaries operating in Libya. "The only [Kenyan] individuals in Libya are embassy staff and students who are not involved militarily," Foreign Affairs assistant Minister Richard Onyonka was quoted as saying. In Mali, the government has as yet to react. The Bamako Foreign Ministry has rather increased its efforts to evacuate Malian citizens from Libya, following increasing reports about attacks. However, only some 130 Malians, out of an estimated 15,000, so far have been evacuated through Tunisia. In Niger, neighbouring Libya, government yesterday issued its first statement regarding the situation in Libya. In very diplomatic manners, the government spokesman voiced concern about the security of Nigerien citizens in Libya, saying its Tripoli Embassy had received orders to "issue travel documents at no cost for citizens wishing to return home." The Niamey government further confirmed that so far, over 1,500 Nigerien citizens had fled Libya overland, through the Sahara desert, arriving the oasis city of Agad�z. More are underway, with many other sub-Saharan Africans fleeing through the same route.